Its merger with Omnicom may have fallen through, but India remains a high-priority market for Publicis Groupe. 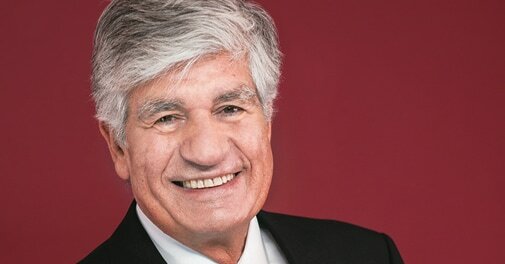 By the time Maurice Levy, Chairman of the $9.5-billion French advertising network Publicis Groupe replied to Business Today's e-mail questions on May 6 - three days before the proposed merger of Publicis and Omnicom was called off - he presumably knew that the deal had failed. But he let on nothing. When asked about the impact of the proposed merger on Indian advertising over the next two years, he said: "I'd be hard-pressed to speculate on specific entities in two or three years while we are fully focused on closing the proposed merger with Omnicom." It took Business Today nearly two months of communication with Levy's office to get his responses. Every reminder got the reply that Levy was travelling and putting the final touches to the merger. In the eight months since the proposed merger was announced, Levy never tired of talking about the potential synergies of the two networks, but also maintained that Publicis and Omnicom would operate as rivals till the deal became reality. His ambition was for Publicis to become a strong No. 2 in India, after rival ad network WPP. Even before the proposed merger was announced, he was clear that he saw India as a priority market for Publicis Groupe. "I can confirm that agencies across the group are performing well and that we are in an exceptional position to reach margins of 18 to 20 per cent by 2018, as targeted in our 2018 strategic plan drafted before the merger was launched," he told Business Today in an email interview. The merger would have given the group much-needed scale, because Omnicom had acquired large agencies such as DDB-Mudra in 2012. The combined entity - with media agencies such as Mudra Max and OMD, along with Publicis's own media agencies Starcom Mediavest and Zenith Optimedia - would have lifted it from fourth to second place in media-buying and -planning, after WPP's Group M. Levy declines to confirm media reports that he was in talks with Sam Balasara, Chairman and Managing Director of Madison World, to acquire his media-buying and -planning agency. He says: "I've known Sam for many years, and I believe speculations have existed for that many years as well." Although Publicis Groupe entered India in 1999, it is in the last few years that it has aggressively sought to expand. In the past year-and-a-half, it acquired eight companies, the most recent being Indian creative agency Law & Kenneth (Law & Kenneth was merged with Saatchi & Saatchi in January this year). Over the past year-and-a-half, the network's employee strength has risen from 300 to 2,500. Indeed, the CEO of a Publicis Groupe creative agency, who does not want to be named, says Levy was upset with his Asia-Pacific team for not giving India the importance it deserved. In the past couple of years, he adds, Levy has been taking a personal interest in India operations. "I can only concur," says Levy. "Emerging markets are critical to Publicis Groupe, and India is especially important to us." Praveen Kenneth, Chairman of L&K Saatchi & Saatchi, says Levy personally reached out to him to initiate discussions to acquire Law & Kenneth. "India is a huge priority for Publicis," he says. "In fact, when they acquired L&K, the announcement came from Paris - the first time an Indian acquisition was announced from the Publicis headquarters." Publicis's India journey has not been easy. As a late entrant, it had to compete with players such as WPP and the Interpublic Group (IPG), which have dominated Indian advertising for almost a century. Brands such as J. Walter Thompson (JWT), Ogilvy & Mather, and Lintas (now Lowe Lintas & Partners) have been around for decades. WPP has billings of $500 million, nearly 15,000 employees, and a market share of over 56 per cent. Levy says he expects Publicis's India revenue to be i88.3 million (1.2 per cent) of the group's revenue this year. 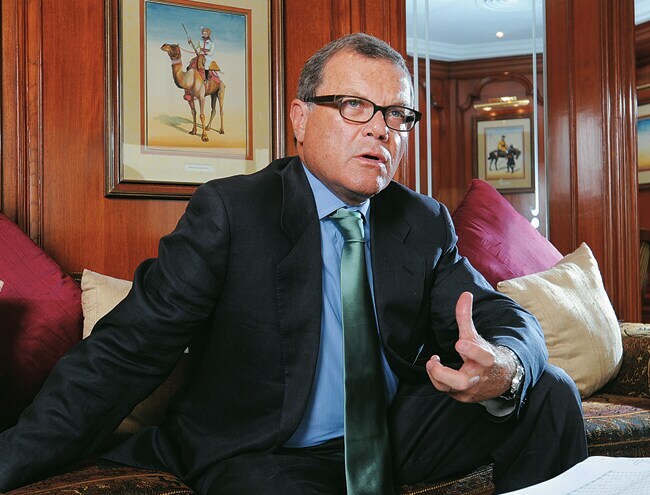 WPP Chairman Martin Sorrell says the USP of its India operations is quality. "India particularly has quality - good people doing good work," he says. "We have good clients. If all our businesses were as good as our Indian businesses, I could retire." A senior advertising professional says that Publicis agencies, such as Publicis Worldwide and Leo Burnett, could have become star brands 10 years ago, had they scouted for local clients. "They became complacent, working with the international brands. To be successful, a good portfolio of local brands is necessary. I wonder why it took Publicis 10 years to get serious about India." 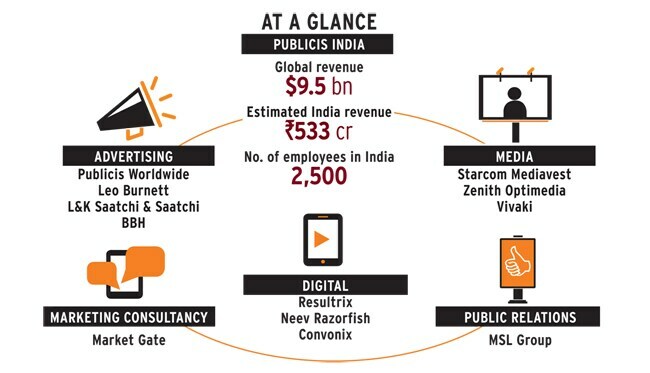 Six of Publicis's eight acquisitions in India in the past one-and-a-half years have been digital. Besides, L&K, a creative agency, gets 35 per cent of its revenues from digital advertising. Levy says that in a country with more than 100 million Facebook users, digital is surely the way forward. He says: "Publicis Groupe is a leading digital player. It is a clear differentiator, and the same applies in India." Jaideep Shergill, CEO, MSL Group, India, says digital advertising accounted for 38.4 per cent of group revenues last year. Colvyn Harris, CEO of JWT India, doesn't believe Publicis agencies are tough competition in digital marketing. "Even in a digital pitch, our hit rates are higher," he says. JWT India is the country's biggest ad agency, with billings upwards of Rs 300 crore, according to industry estimates. Sorrell, his boss, says that most of Publicis's recent acquisitions in India are poorly structured and poorly priced. "We have seen that not only in India, but also in Brazil and in China," he says. "You can't explain Publicis's 11 per cent drop in revenue in China in the fourth quarter last year. Publicis is having significant problems." Sorrell and his team may have strong views on Publicis, but independent ad and media networks hope to see more healthy competition. "Publicis's focus is much more on creativity than that of the WPP agencies," says Sajan Raj Kurup, Managing Director, Creativeland Asia, a home-grown creative agency. "Maurice Levy epitomises culture and creativity, whereas Sorrell is all about the number of billings. Creativity is good for the fraternity." He also argues that size doesn't matter in the creative business. "Big is not necessarily great, being modular is great," he says. Q. Publicis Groupe has been extremely active in India since 2006/07. But it has been in India since the late 1990s. Why did you go slow at first? A. Publicis Groupe has been pretty active on the Indian M&A market. In a year and a half, we made eight acquisitions. Indian talents are pollinating our global operations.... However, there has been no India-specific lukewarm start. The rationale was group-wide. From 2006 on, growth was fuelled by two powerful engines - emerging markets and digital. We invested $3 billion in acquiring top-notch digital capabilities, while fast-growing markets have topped our agenda - first and foremost India and China. It's fair to say India was at the forefront of a growth tsunami from 2006 onwards. Q. While emerging markets is a focus area for the group, you have been taking a personal interest in India. Is that true? A. Emerging markets are critical to Publicis Groupe, and India is especially important. When these markets mature, they will deliver. It is a wise investment, because the revenue we can get from our investment today is not aligned to what we put into our mature markets. In such a context, India stands apart. The potential is simply eye-popping. For instance, India, with 100 million Facebook users, is likely to be the second largest social media market in the world - second to China. We now have 2,500 employees [in India]. All our brands have invested in India. Q. What are the pros and cons of being a late entrant in the market? A. Being there for many years gives you the advantage of knowledge, reputation and market share. Being in the market now brings freshness of ideas and solutions, as well as hard work to establish yourself. Q. How much do you see India contributing in the next two to three years? A. In 2013, India accounted for one per cent of the group's total revenue [i67.8 million]. According to our 2014 commitment, revenue from India is forecast at i88.3 million, or 1.2 per cent of group revenue.